A pool fence can be a great addition to anyone’s Swansea, Illinois, backyard. A fence around your pool can provide safety for young children and pets by limiting their access to the dangerous edges of the pool, as well as keep unwanted pests out of the pool area. For top-notch fence installation, turn to Chesley Fence & Deck. We have a superior record for providing spectacular fencing throughout the area. In fact, we have installed more fencing than any other company in the region. 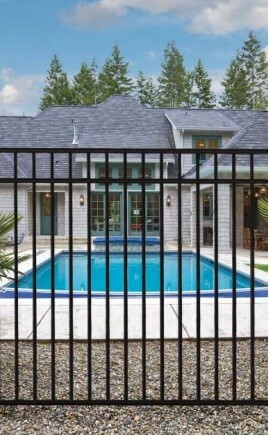 Additionally, your aluminum pool fence will come equipped with a manufacturer lifetime warranty. We also provide a three-year labor warranty on all of our fencing products for added peace of mind in your new investment. To learn more about installing a pool fence in your yard, contact Chesley Fence & Deck today. We will be happy to provide more information on all our fencing options and help you choose the right fence for your Swansea, IL, pool.